Over the last few months, I have been able to spend a significant amount of time in Pakistan — accounting for the largest continuous period I’ve spent in the country in the past 15 years. I took the opportunity to learn more about the emerging startup ecosystem here and wanted to jot down my thoughts on what I’ve learned after speaking to dozens of founders, operators, and investors over the last 4 months. Firstly, I’m very encouraged by the excitement around technology companies in Pakistan and none of what follows should take away from that. It’s not uncommon now to sit next to a passionate group of founders discussing the problems of the day at a coffee shop in Karachi or Lahore. Startup focused events seem to be popping up everywhere, too. I was at 021Disrupt in November and found it to be well attended, with thoughtful speakers and engaged participants. Even the government is getting behind the idea, although much of that is still to materialize (I wouldn’t hold my breath). It’s important to state that my thoughts are naturally biased because of my experiences founding or operating early stage companies in Toronto and Singapore during periods when the ecosystem was on a rapid upswing. Each country was unique and had its own localized challenges, but there are still patterns that emerged which I feel Pakistan can learn from. When you talk about venture capital activity, Pakistan is simply not on the map. According to the 2017 KPMG Global Analysis of Venture Funding Report, approximately US$155 billion was invested by venture capital firms across the world. These funds involved deals across all stages of the funding lifecycle including seed, series A, and onwards. Of this, Pakistan’s share was a measly $23.1 million in the same period. Yet, there’s been a surge in VC activity in Pakistan lately, so this year’s numbers are likely far higher than last years. Sarmayacar officially announced the close of it’s $30 million fund dedicated to Pakistan. I2i ventures is also in the throes of closing a $15 million early-stage fund of its own. Furthermore, regional funds are starting to take notice and directly investing in local companies. But I feel this is still a drop in the ocean for Pakistan — a country of over 200 million people and 60 million 3G/4G connections. After all, Pakistan seems responsible for a large part of the Middle Eastern companies’ healthy valuation. Pakistan has, in fact, grown so rapidly that it’s a priority market for Uber now with over 30,000 drivers plying its roads. 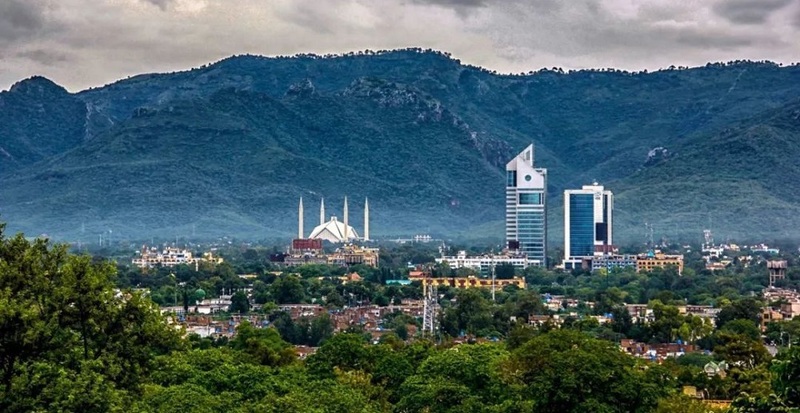 “The country has surpassed all expectations and goals,” said Anthony Le Roux, Uber regional manager for the Middle East and North Africa while talking to the Express Tribune. Some naysayers may postulate that a lack of exits in Pakistan has been a key deterrent to the emergence of private venture funding. But the fact is that foreign companies that have been willing to take risks and wade out into the unknown are emerging victorious. The example of German incubator Rocket Internet is pivotal here. It first started up in late 2012 when e-commerce in the country was virtually non-existent and mobile consumers had to contend with 2G speeds. Daraz, its flagship venture, enjoyed the bulk of funding but its other ventures such as Foodpanda, Lamudi, Carmudi, Easytaxi, and Kaymu were also similarly encouraged to grow. Some failed but some didn’t as is standard with venture-backed companies across the world. Daraz was recently acquired by Alibaba in a $200 million deal, which is a 10x return on investment for Rocket from what I understand. The exits will come once investors start deploying capital early, just like they’re supposed to. A similar refrain was very common in Singapore circa 2009, but no one talks about the lack of exits less than a decade later. This is within range of expected VC shareholding period before exit, so an argument that it may be too early doesn’t pass the sniff test entirely. At the same time, startups in Pakistan need to also watch out for whom they let in on their cap tables. I’ve met a few companies that were offered — and in some cases accepted — term sheets asking for 50%+ in equity for a few thousand dollars. Vulture capital is alive and well here and such terms are regressive and surely going to be responsible for more than a few promising starts being wasted. But despite these funding gaps and in spite of what local founders will often tell you, I don’t believe that capital funding is the only — or even the biggest — challenge that needs addressing before the startup ecosystem really comes into its own here. What else is missing besides Capital? A common problem whether you’re building your company in San Francisco, Shanghai or Karachi is finding, hiring and retaining really great people who want to work on your dream. The smartest Pakistanis graduating from the best local colleges don’t want to work at early stage startups. This can change, especially since larger companies are notorious for their terrible culture. From my experience hiring local talent for back offices, I’ve come to realize that Pakistani employees value job security and stability over most other perks that can be offered. Large families, low wages, culture, and few breadwinners make for an environment that compels well-educated folks to not take risks. I have been successful in hiring here when focusing on finding the few who are willing to take risks. I don’t see a concerted effort by founders here to identify, hire and reward those folks, even though almost every founder I spoke to agrees that talent is a huge issue for them. There is some good news on the horizon: as larger technology companies (Careem, Daraz, etc.) get built in Pakistan — not to mention large offices for Silicon Valley companies with Pakistani founders such as Keep Truckin’, Elastica and Affiniti — the “Paypal Mafia” effect should kick in and supply experienced leadership talent (and future founders) for the next generation of startups. Employee shareholding is usually not offered, and startups tend to try to hire just like large corporates do, through LinkedIn, job posts and their own network. This is not an optimal strategy when trying to identify a small subset of pirates who are willing to buck the trend and do something exciting with their careers. In fact, if I was a talented twenty-something curious about startups but not ready to take the plunge, I wouldn’t even know where to start looking short of landing up at a paid, expensive event. There are no community outreach efforts such as job fairs, open houses and other active ways to investigate what startup careers could look like. This seems like an easy win for me. Furthermore, Pakistani society tends is very cliquey and people move in their own (perceived) socio-economic stratas. Sadly, this means founders don’t coalesce together often in social settings and aren’t able to trade notes or collaborate on solving some of the common problems they face. It seems as if startup folks here view the market as a zero-sum game; as if there simply isn’t enough room for everyone to succeed. I hosted a mixer for local founders and operators and was surprised how they tended to stick to their own socio-economic strata even when in the same room as others who have the exact same problems as them. This knowledge sharing is vital when operating in an emerging ecosystem — serendipity and a strong network help you short-circuit problems when you don’t have the funding to afford too many mistakes. Lastly, I believe there isn’t enough focus given to mentorship. Or more accurately, a lot of the mentorship being offered is of dubious value. This is a sad result of a lack of experienced founders and seasoned operators in Pakistan. This is partially because the industry is young, but also because unlike India and China, there is no large stream of overseas Pakistanis looking to come home from Silicon Valley to start their next companies. Equally worryingly, there is no shortage of tech incubators in Pakistan touting expertise but other than fancy photo-ops and terrible term sheets, what are these funded entities actually doing? I hope first-time founders realize that just because an individual is being touted as an expert does not make them one. I’ve seen these “mentors” try to upsell startups on paid consulting services, such as engineering support. Do your research and critical thinking before getting in bed with such actors. Lastly, because of the acute lack of talent and capital, as well as these other systematic problems I’ve tried to outline here, I believe founders are stretched so thin and are so operational in their companies they have a hard time conceptualizing the larger vision. I’ve only met a handful of startups that are even thinking about how their ideas would fare beyond Pakistan’s borders. Even hyperlocal ones have a tendency to simply copy what’s working in other countries and apply it to a Pakistan context, with little thought given to localization. I know it’s tough to zoom out and think big when you need to do nearly everything yourself, but this stuff was never meant to be easy. Thinking through where things are going and being able to articulate your vision passionately and defend it logically is key to fundraising, recruiting and a lot of the other problems outlined here. I don’t see this as an optional luxury. Here’s why: unlike other large countries, the Pakistani startup scene is maturing at a time when neighboring China is starting to flex its technological muscle globally. Companies here will have to actively compete with well-funded ones from China — not to mention Silicon Valley and elsewhere — looking at international markets to compensate for slowing domestic growth. This inevitable global competition is a self-inflicted wound and I wonder how many great Pakistani startups were lost because Pakistan arrived shockingly late to the 3G/LTE party in 2014. To be clear, I’m pretty bullish on Pakistan’s prospects. The startup frenzy is real. Karachi, Lahore, and Islamabad are all upwardly mobile cities with young graduates eager to grow and learn. Our grandparents know about Uber, Careem, and Daraz and acutely aware of the power of the internet. It sure will be very exciting to see how this plays out over the next few years. On a personal note, I’m interested in helping Pakistani companies grow and scale. If you’ve got an idea you’re contemplating, are already a startup founder in the thick of things, or just have an opinion you’d like to share, find me on Twitter (DMs open) or email me. And if you’re an investor looking at Pakistan seriously, I’m happy to connect you with some great companies here. This article was first published on Medium and has been reproduced here with permission of the author. Founder & CEO of Pursuit, a Canadian startup that helps "very skilled workers" move to Canada by vetting and pre-qualifying them and matching them with companies to fill talent gaps. He can be reached on Twitter.